In the overcrowded tourist market, every city needs a unique superlative. The best in this, the largest of these, the highest among those… Zagreb may be one of smaller European capitals but it’s crowned with an unbeatable title: the city of museums. 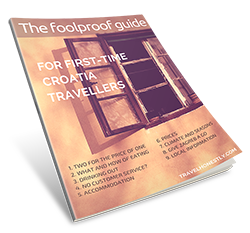 With the highest concentration of museums per square metre, Zagreb is every artsy traveller dream come true. I think there may even be more museums than public toilets in the city. But this is not where the story ends. If you stick to the list of museums offered by official travel guides, you’ll miss out on impressive pieces of artwork scattered around lesser-known locations. They are captivating, provoking, free to behold but ever changing, they blend in with the environment but also bring out what’s been unused and neglected. 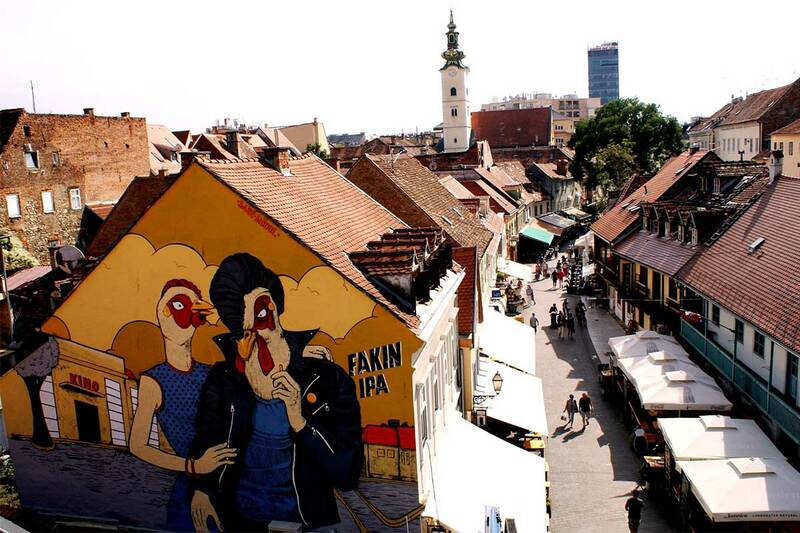 They are Zagreb street murals. Unless you’re a keen walker, wide-eyed with curiosity about the world around you, you probably won’t notice Zagreb street art treasure. 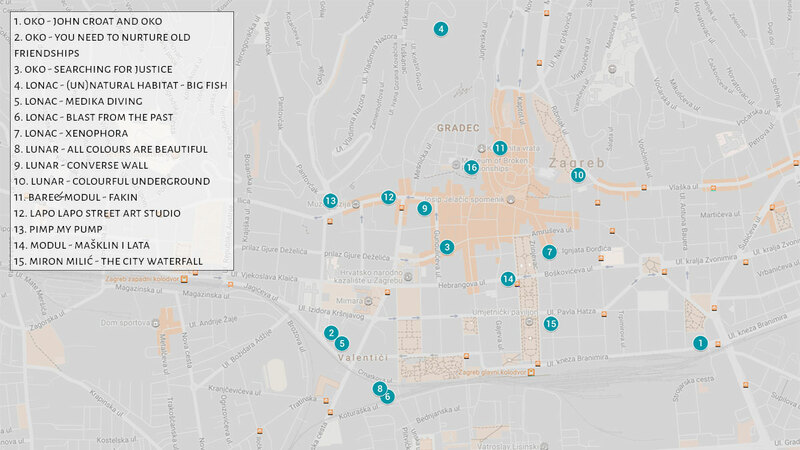 It took me months to track down their locations and learn about the artists who created them. As I collected photos and stories of my favourite murals, I realized some of them are in a derelict state or no longer around. I was struck with sadness. ‘What do you mean you won’t repaint that mural’, I asked one of the artists. To this question and my woeful undertone, they all gave an unexpectedly cool answer: ‘It’s what street art is all about: murals come and go’. 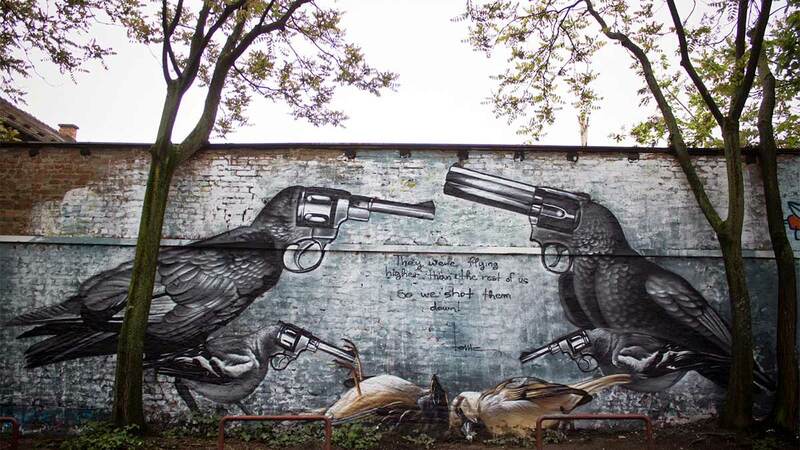 Street murals all around the world are changing the way we think about art. Gone are the days when art was confined to museum showrooms and available only to those who subscribed to formal rules of evaluation and appreciation. Public space is art’s new home and whoever is there to see it is invited to communicate with it. Back in 1999, David Bowie prophetically said that ‘the piece of art exists in the grey space between artists and their audiences’ (BBC Newsnight). 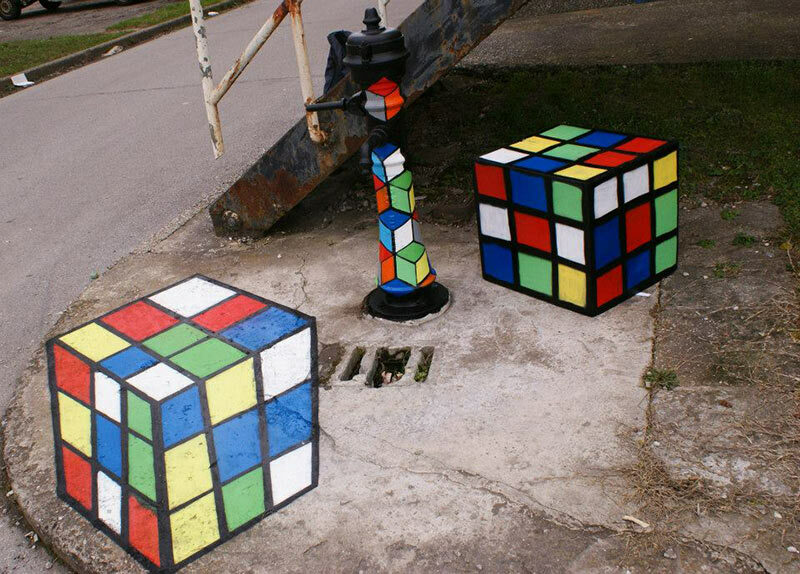 And street art like no other art form demystifies that interplay. 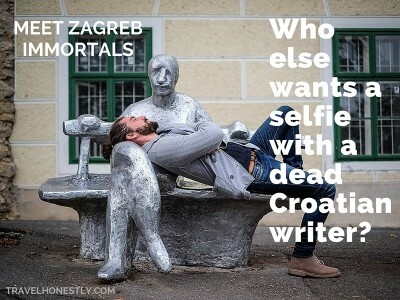 Am I still sad that Zagreb murals are coming and going? Less so. In fact, I am more and more in love with their fluid and ephemeral nature. The work and the artists opened my eyes to life’s lessons in letting go. If happiness is a thing of here and now, so artistic creation flourishes only when the new replaces the old. But do I still want you to track down my favourite murals? You bet. Don’t just take a chance on stumbling upon them. Take this map and scout out one jewel after another. I curated this this open-air ‘exhibition’ for you with pieces that you can easily find in the city centre. And though street art is well known for appearing in peripheral or neglected city neighbourhoods, this time I had a different idea in mind. 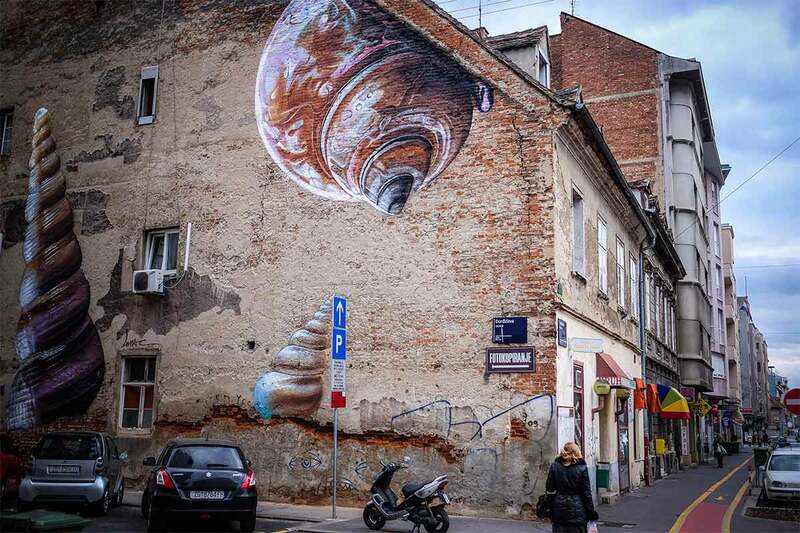 Instead of going for the usual highlights and pretty façades, see the heart of Zagreb through the lens of street murals. Poke inside inner courtyards, move your eye-level up or down to appreciate their scale, squint and see brick or concrete walls emerge from the artists’ strokes. In Croatian, OKO means an eye. But OKO’s artistic name doesn’t speak only of the physical sight, but of seeing the world with an inner being. It reminds you not to judge things at first sight. 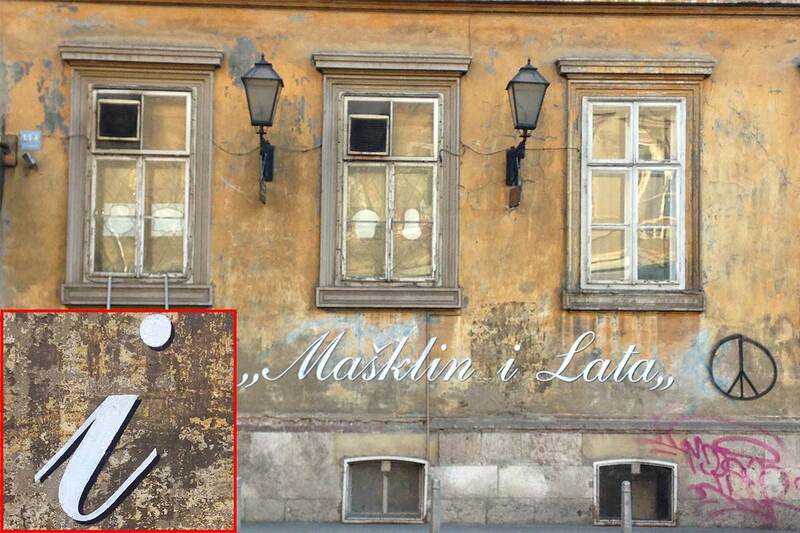 Eye is also one of her leitmotifs that started appearing on Zagreb façades back in 2005. 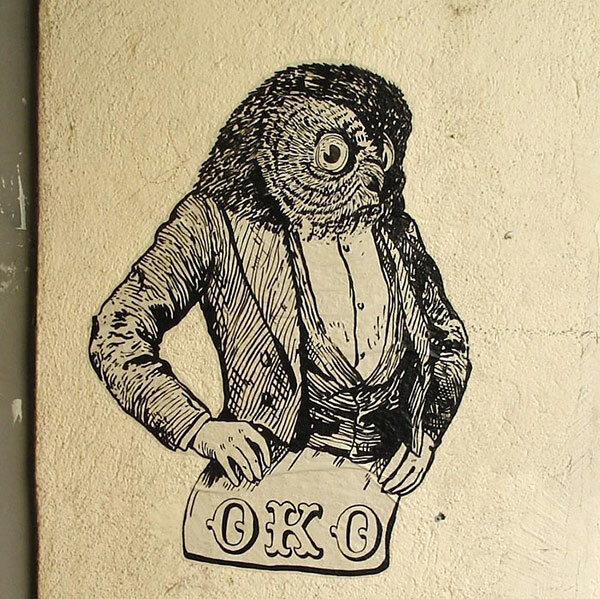 One of OKO’s styles are elaborate black-and-white drawings of animal-headed and well-dressed people. The other is a depiction of full-colour childish ghost and beasts that exude guardian energy. To the question ‘why her characters are always well-dressed’, OKO replied: ‘Because I love to dream about a better world, about justice “giants” that do stuff according to early human and moral ways, a better version of humanity. 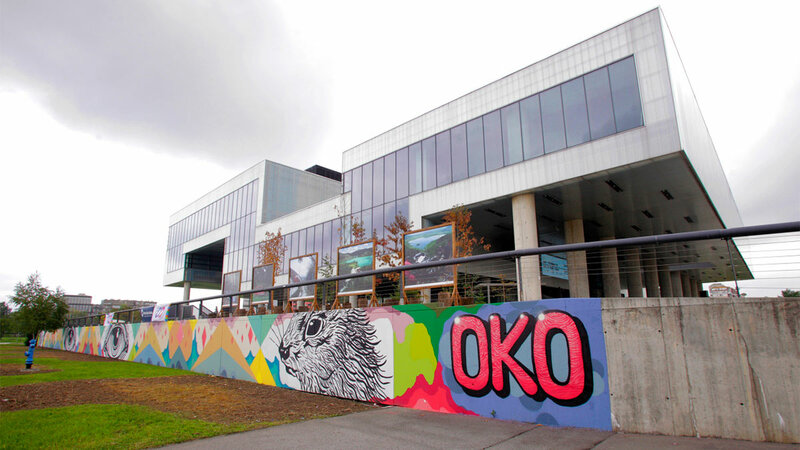 Last year OKO delighted Zagreb locals with the 90m long mural on the West-facing façade of the Museum of Contemporary Art. This was only one of many museum exhibitions that OKO participated in. 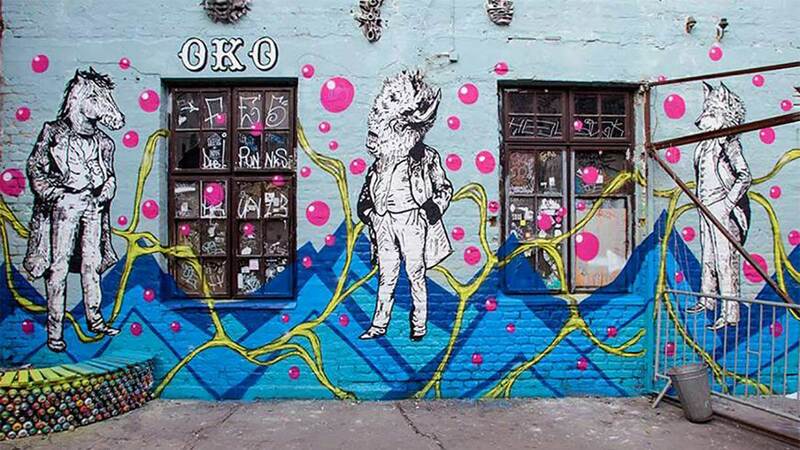 Although much loved as a street artist, she easily navigates classical artistic waters and has regular shows in museums such as Victoria and Albert museum in London and e-flux in New York. What better way to play around with identities than to embrace his childhood nickname Lonac [pot in Croatian] that at the time he disliked most! Lonac’s child-like zest for art still radiates from his murals. And combined with his dedication to perfect painting with spray cans gives his murals a distinguishing feature. When Lonac paints a mural on a wall, he doesn’t use its surface as a neutral canvas. The structure of the wall and all its surroundings, such as pipes or other graffiti, become part of his artistic expression. 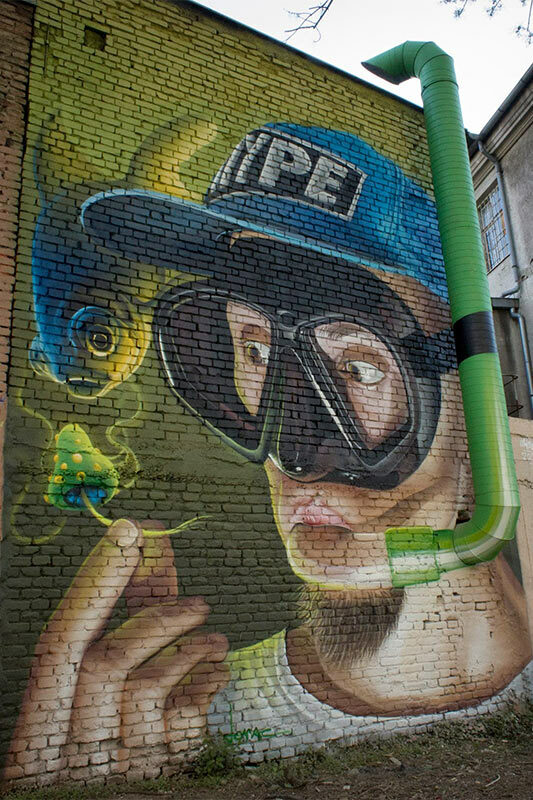 His monumental photo-realistic murals are immediately recognizable, and so is fish as one of his favourite leitmotifs. His murals are meticulously painted over a long time. 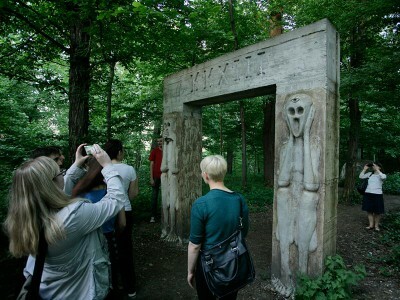 You can see them all around Europe, but my big time favourite is right in the middle of the Zagreb Tuškanac forest. 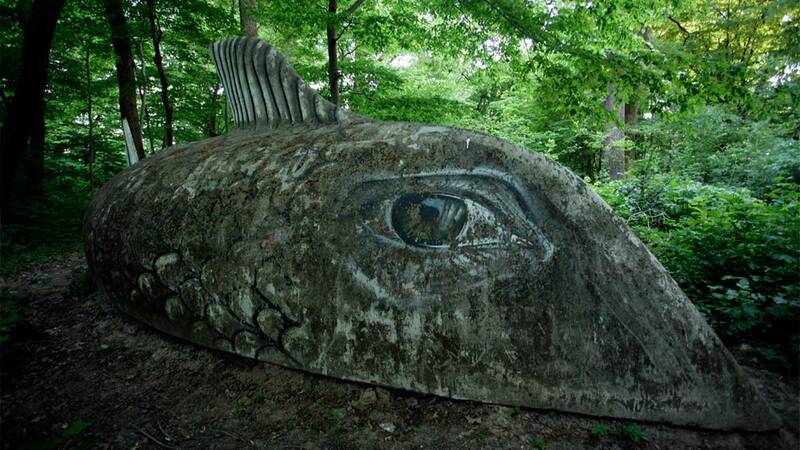 It’s called (Un)natural Habitat – Big Fish and it uses an old boat for canvas. 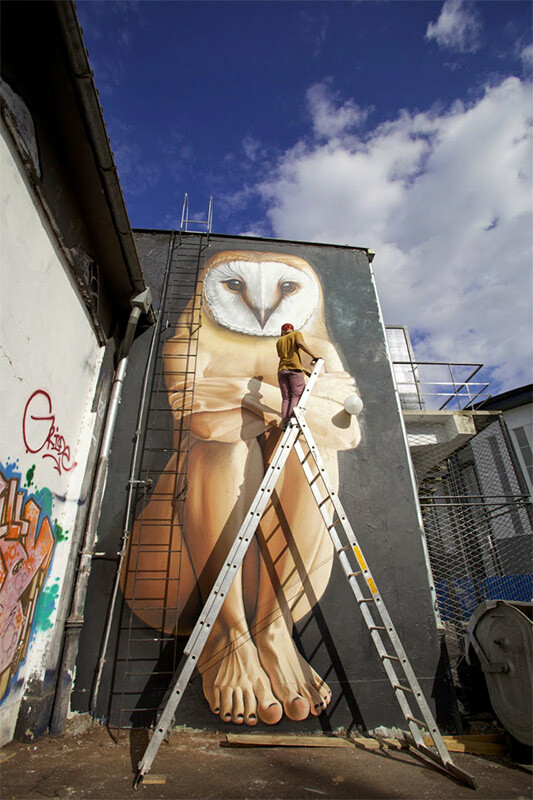 Lunar is one of the pioneer street artists in Croatia. He has painted more than 2,000 works and exhibited them around the world, including in Amsterdam, Berlin, New York, Paris, Havana and Tokyo. His technique is versatile but his motifs are distinct: you’ll always spot personified animals and elements of flora that fascinate Lunar the most. His artistic name symbolizes the moonbeam, which, as Lunar himself says ‘used to be the only source of light helping out early graffiti artists at their nocturnal activities’. Lunar regularly invites international street artists for joint events. One of Zagreb’s main street art hubs – The Student Centre – is a great open-space showroom of these initiatives. To appreciate his latest piece, you’ll have to duck inside a public garage and walk around it as if it were an art gallery. As you see, Zagreb murals are getting more mobile: into and out of the streets, inside museums and galleries and some even liven up pubs and bars. 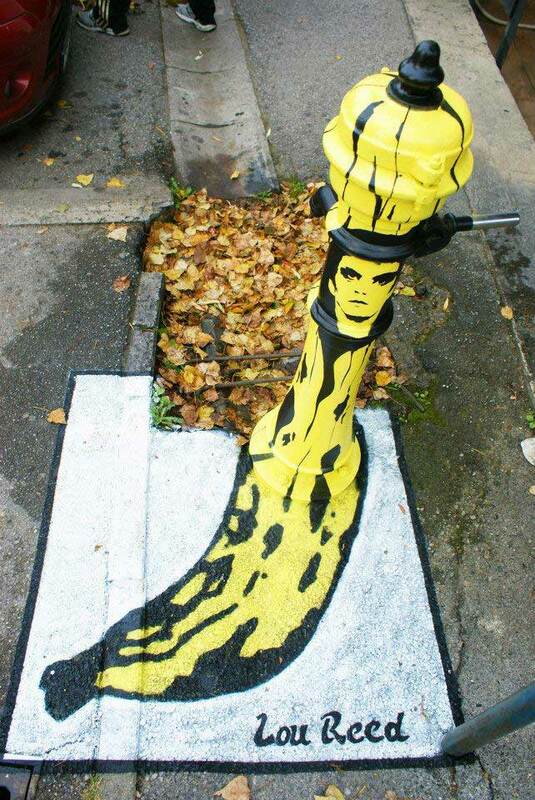 If you think street art resides only in streets, you’re in for a surprise. 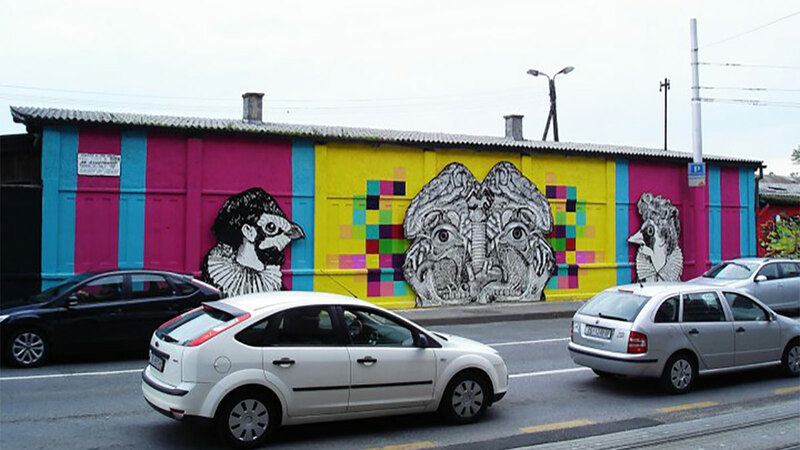 Boris Bare and Miroslav Petković Modul, both established street artists, opened the small but vibrant studio Lapo Lapo. Pop in there to catch them at work or to browse paintings and illustrations by many other artists. Looking for some house decoration? Get your unique chair painted with an image of Nikola Tesla or famous comics characters. You can even sign up for free graffiti lessons. Make sure you follow Lapo Lapo on Facebook. They’re announcing free street art tours this summer. Who are Bare and Modul? 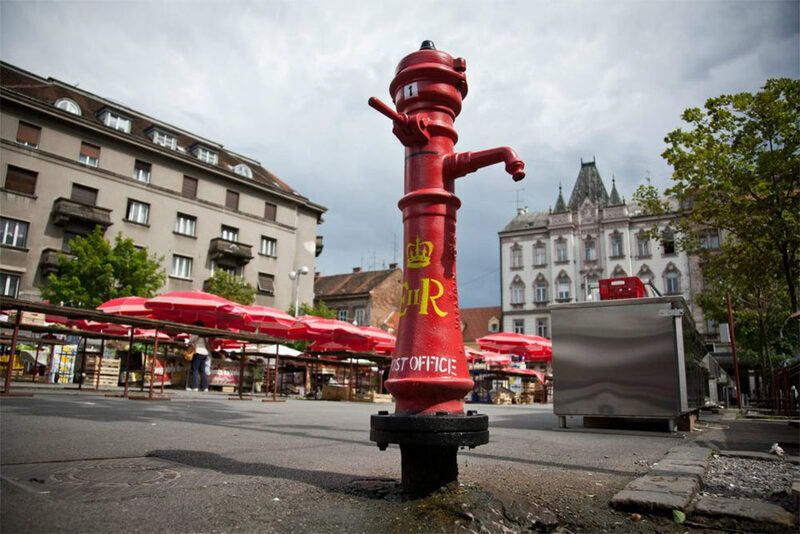 If you ever passed by a Zagreb street water pump and wondered why it’s disguised as Darth Vader, Lou Reed or Picasso – Bare is your answer. His Pimp My Pump project gave a new lease on life to the derelict and forgotten street pumps that once were a hub of every Zagreb neighbourhood. Most of them are outside the city centre because they used to serve neighbourhoods without running water. Bare fondly remembers playing around them as a kid. 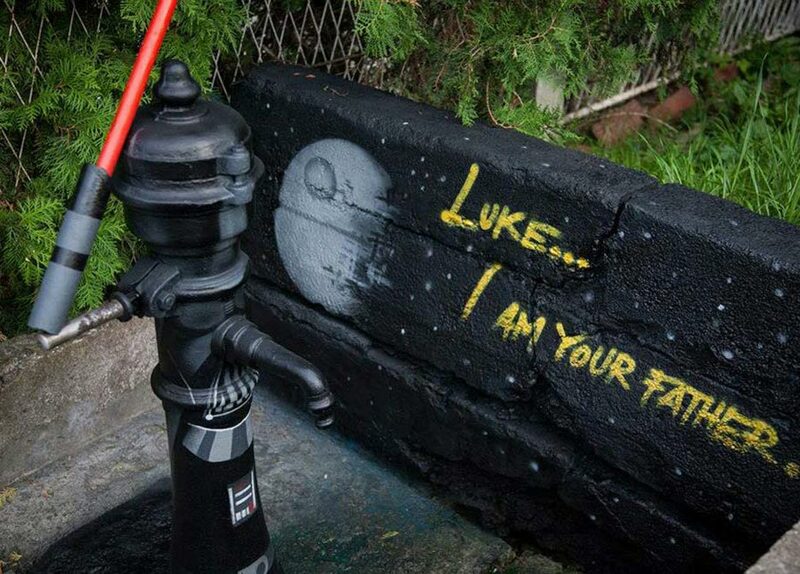 His adult mission was to bring colour and cheer into the life of an old iron pump. Judging by the crowds that usually gather for a party when a new pump is being pimped, he definitely succeeded. Many other iron pumps outside the city centre have been pimped. These are some of my favourite ones. Thanks to Miroslav Petković Modul, Zagreb street art scene is richer for another unique artistic style – calligraphy. With a diverse mash-up of styles and motifs, including aerosol art, his biggest inspiration is the aesthetic of letters. When Modul ‘writes’ something, his words are not only words. His calligraphy conveys meaning but it is also a visual experience – a painting. So if you thought about handwriting only in terms of legible or not legible, think again. Modul’s letters challenge you to think about language in a fresh way. A medium which is both brainy and bodily. 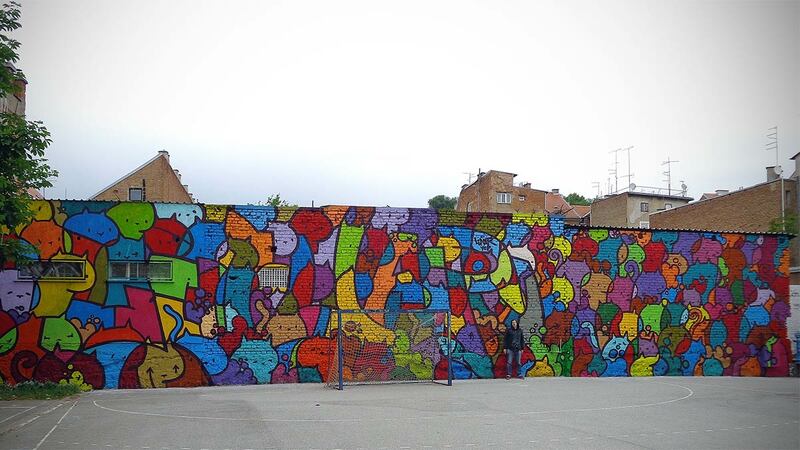 Every year Zagreb Street Art Museum (MUU: Muzej ulične umjetnosti) moves to a different part of the city. 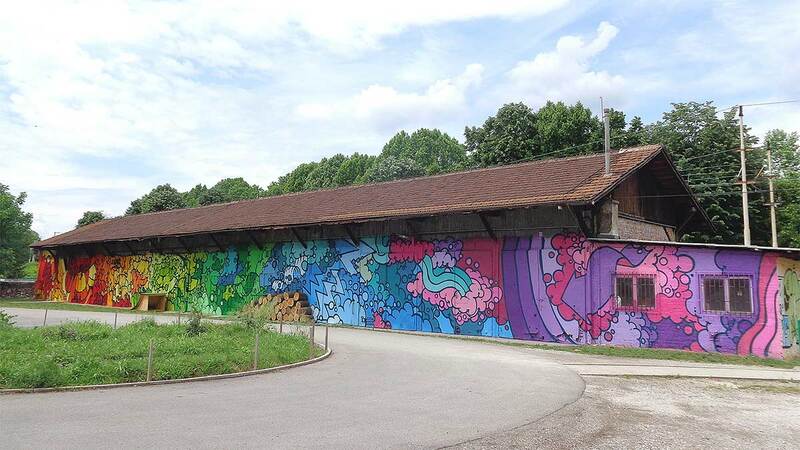 The project began at the iconic spot Branimirova Graffiti Hall of Fame – a long wall by the main railway station where many artists painted their murals. MUU has since visited Siget and Dugave, residential neighbourhoods south of the Sava River. 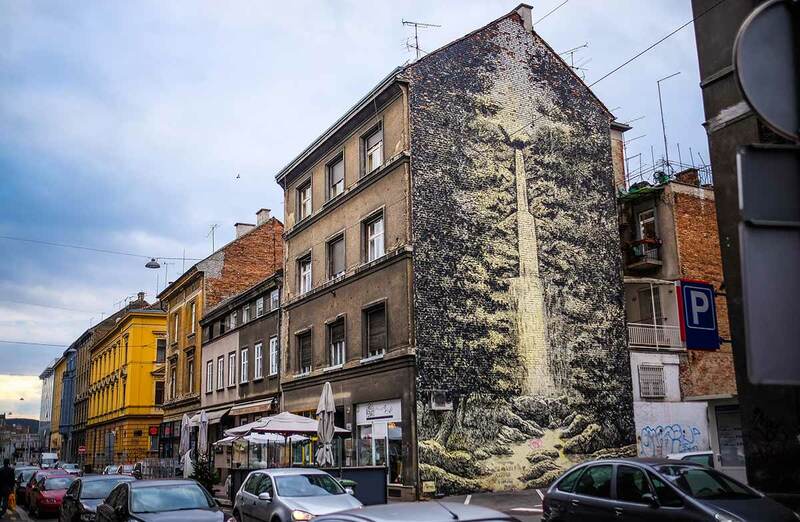 In 2013, Miron Milić took part in MUU with his stunning ‘City Waterfall’ mural in the centre of Zagreb. The large painting of water flowing down a city façade symbolizes an oasis of peace and serenity in the urban hustle and bustle. When you stand in front of this mural, you’ll realize the power of the human mind. We don’t need the ‘real’ nature to soothe us – its invocation through a painting makes wonders too. 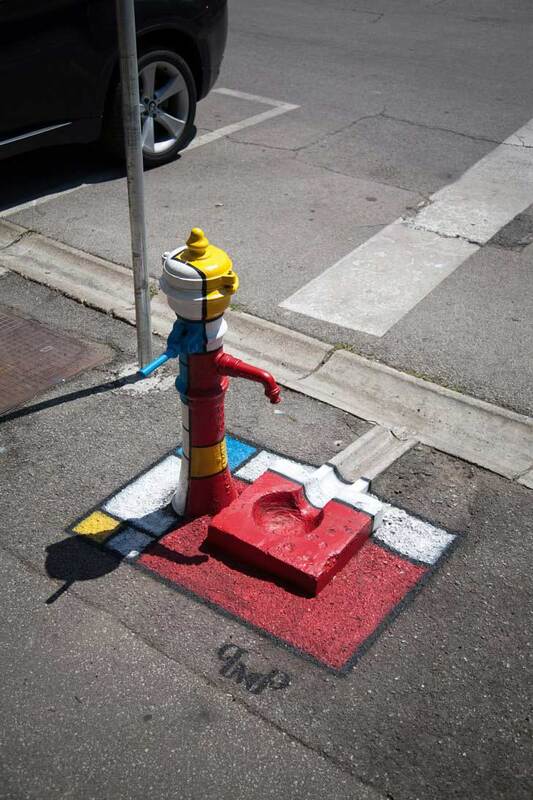 Last year, the Rendez-Vous art festival invited French street artist Etien to leave his mark in Zagreb. And in this land-locked city, Etien painted a giant whale. The locals fell for it straight away. Climb to Gradec plateau in the Upper Town and you’ll see them lingering around the Whale all the time. They move from one side of the run-down gallery building to the other to catch the best view of the beast and its shadow. It’s because Etien used the anamorphosis technique to paint it. This means the entire scene can be viewed only from one angle. 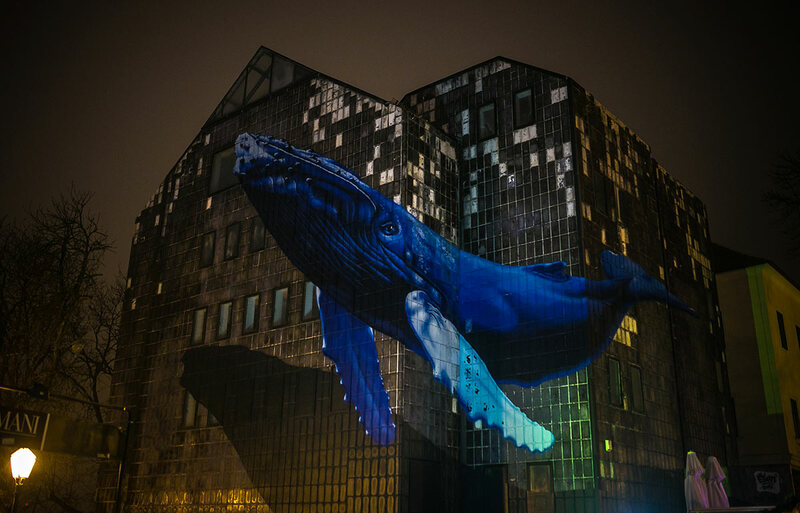 Etien’s and Zagreb’s Whale was listed among the top 10 world murals according to the Mural Festival in Montreal. And a little update. Etien visited Zagreb again this year and did another great anamorphic mural close by. 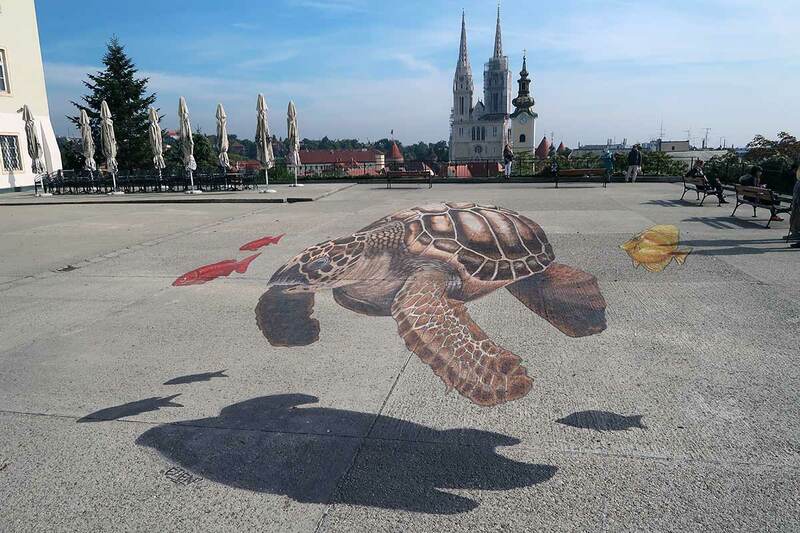 This time it’s the turtle, painted on the floor but seems like swimming through the air. Nice! Zagreb boasts an amazing array of museums. But one of the coolest ones remains under the radar. The explosion of stunning street murals and other types of graffiti art is left undocumented. Sure, you’ll see photos of them here and there. But you’ll wonder how to find them. You may stumble on some by accident. 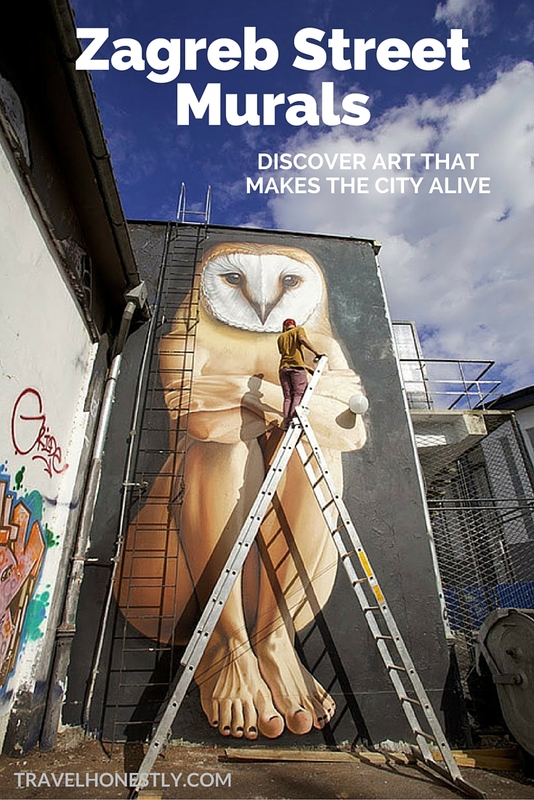 Or you may have heard of the locations that showcase some of the best works: The Student Centre, the Medika independent cultural centre (former pharmaceutical factory) or the Branimirova Graffiti Hall of Fame. 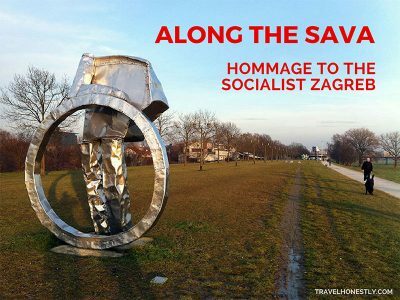 I decided it was time Zagreb street murals receive their due recognition, so I curated my own ‘exhibition’ just for you. So take my map, pretend the city is a huge open-space showroom and track down each one on the list. Promote Zagreb street art to your friends on Facebook and Twitter. Add Zagreb murals on the list of other great museums. Art is about community. You’re the community. 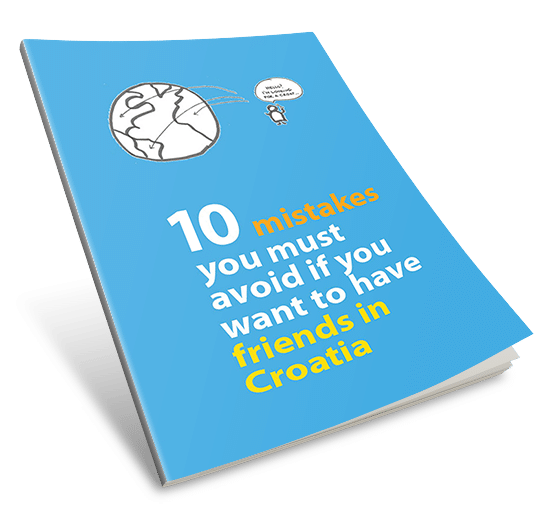 Oh, and here’s my ultimate list of other super cool things to do in Zagreb! 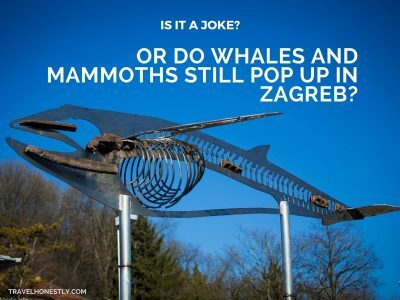 Is it a joke or do whales and mammoths still pop up in Zagreb? Where I can found those locations? Hi Emir, you just need to click one of the sharing buttons on the map and this will open the map for you. All the locations are there. I hope you enjoy it! 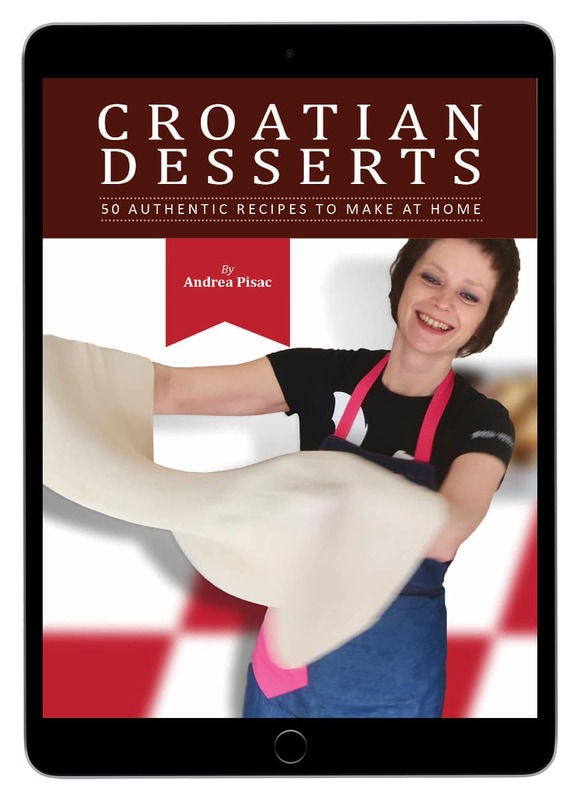 Andrea, thanks for presenting this (mostly neglected) side of Zagreb to all of us! Beside those street art pieces that you showed us I like very much those made by austrian-french couple Jana and JS in southern district of Dugave. Thanks for sharing these, Vanja. I love those too! These are fantastic! I recognize a few from our 5 day trip last summer, especially along the Branimirova Graffiti Hall of Fame (next to the train station, right?). BTW, what seems to be the fascination with putting birds heads on human bodies? Lots of those. Hi, Andrea, thank you for sharing those. It’s wonderful! May I use some of your photos in my story about Zagreb? I have written a story on Pimp my Pump, but did not find so many interesting murals. thank you in advance. Actually, many murals are connected in a way that is invisible to most. Install Ingress on your mobile, turn it on and go outside. It’s pretty surreal first time. Great blog. I featured you on mine walkingwithoutadonkey.